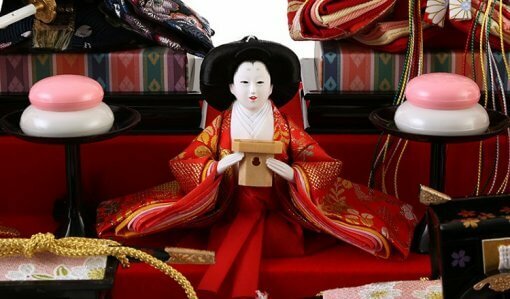 This is the high quality Hina dolls made by hand. 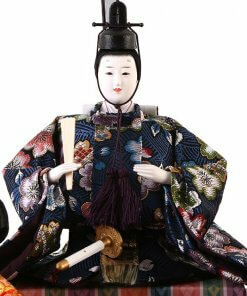 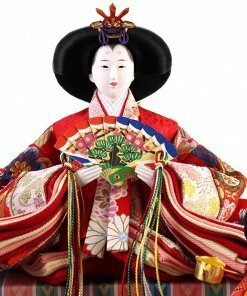 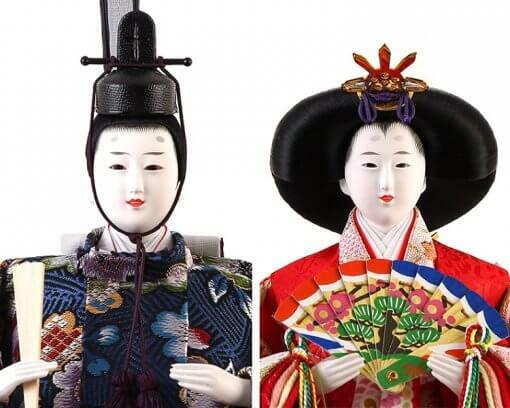 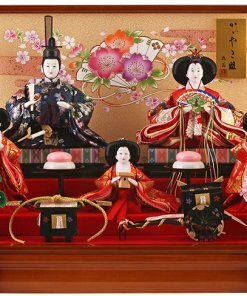 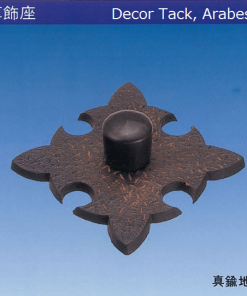 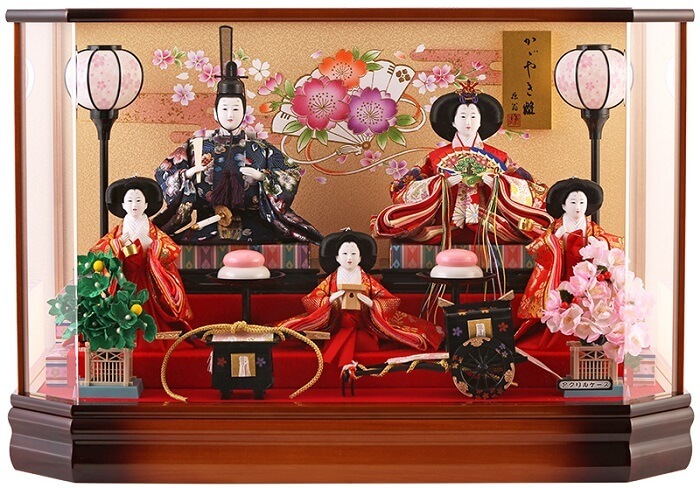 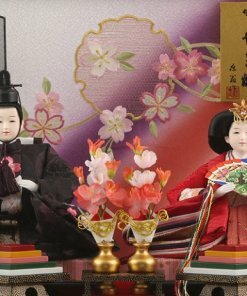 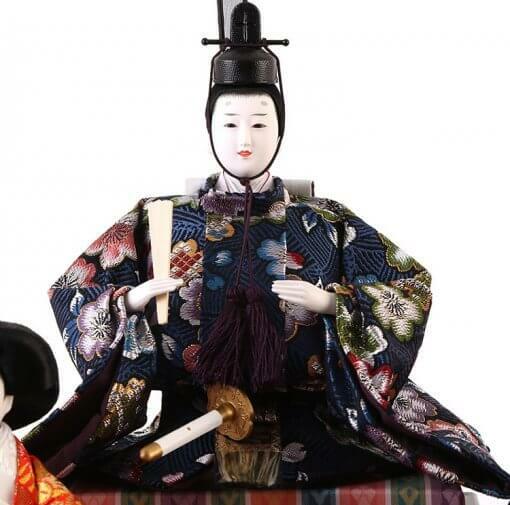 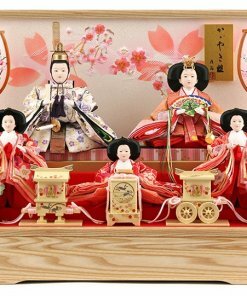 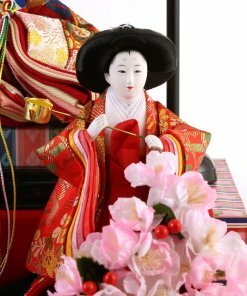 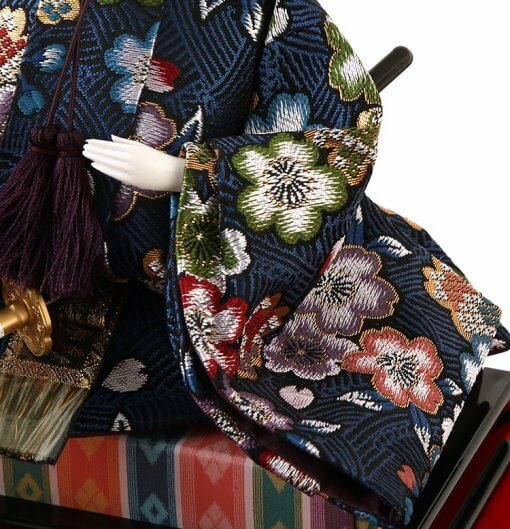 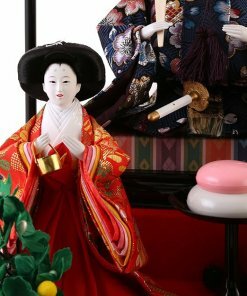 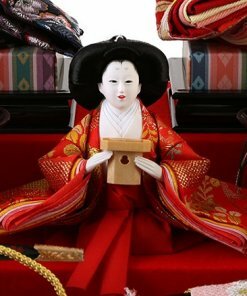 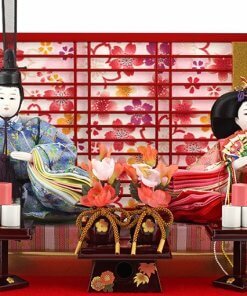 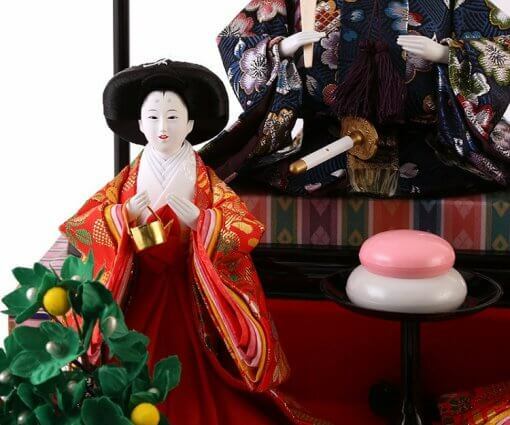 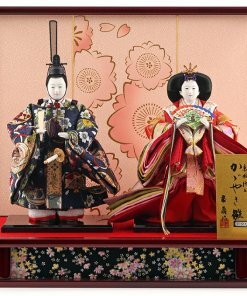 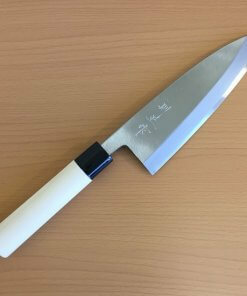 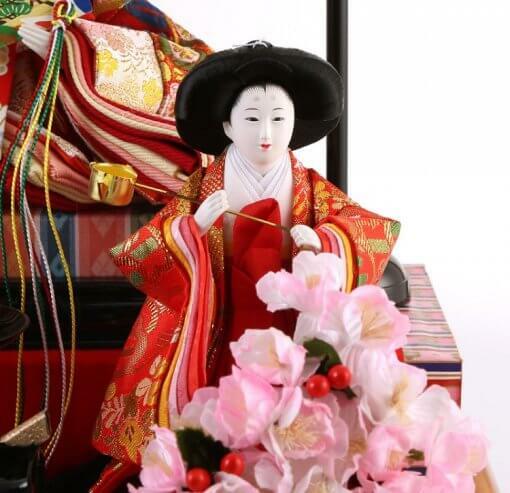 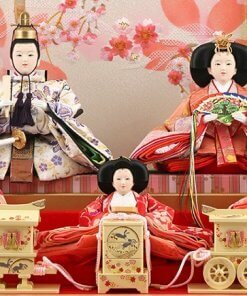 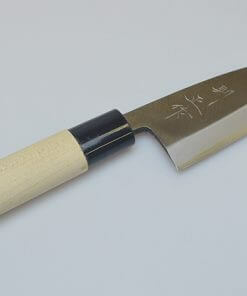 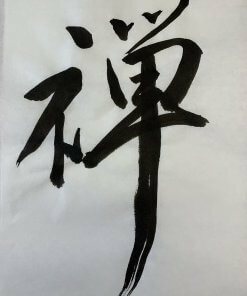 Traditional style five doll come in a acrylic & fine zelkova case. The case is hexagonal shape by which you can see the dolls in various angles. 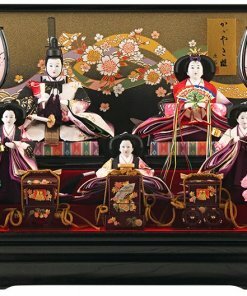 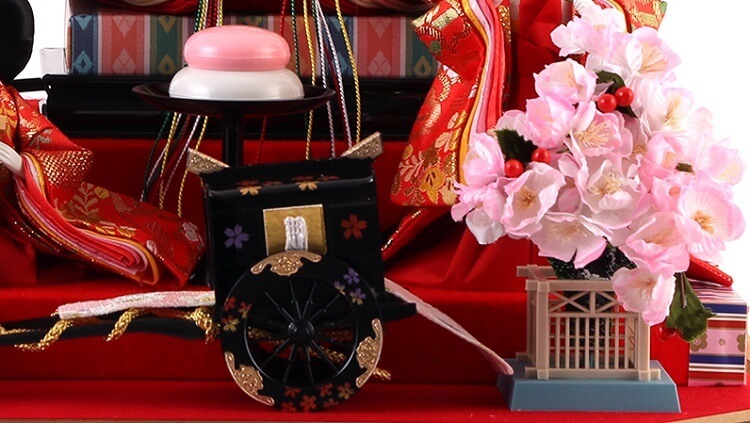 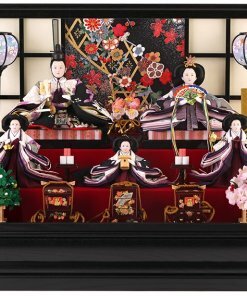 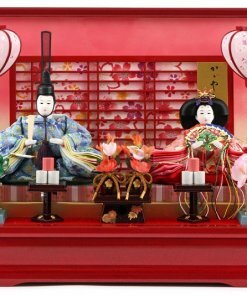 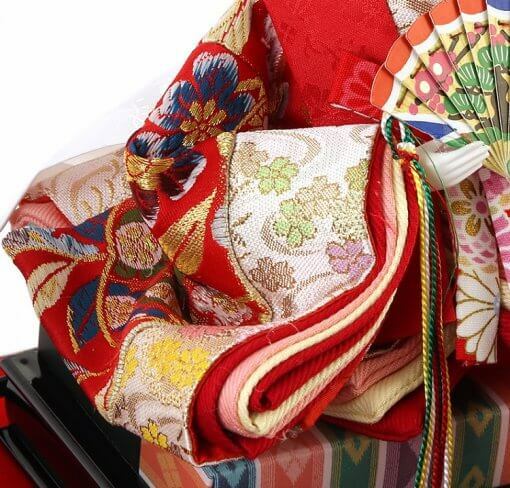 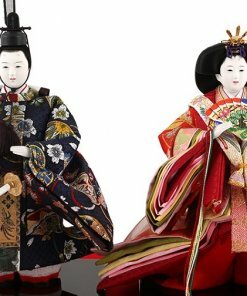 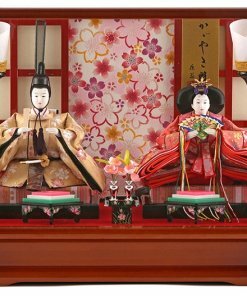 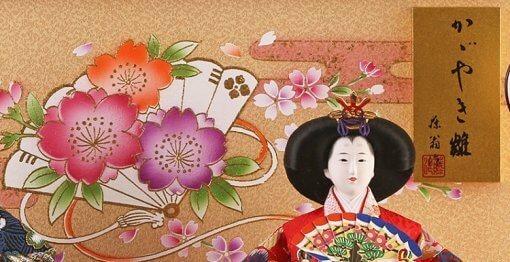 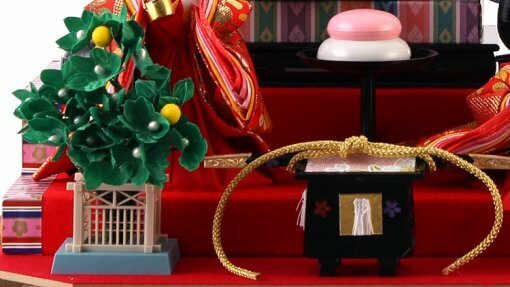 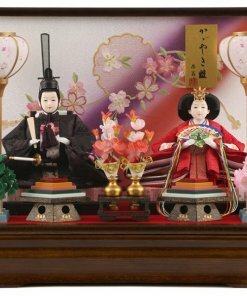 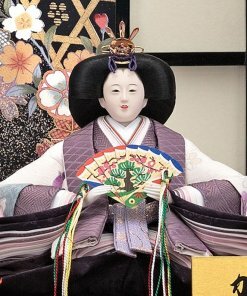 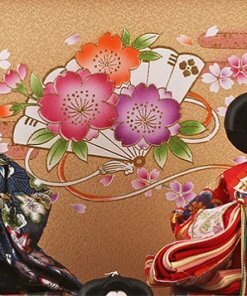 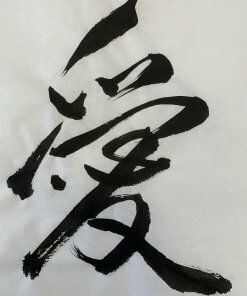 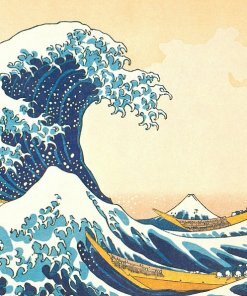 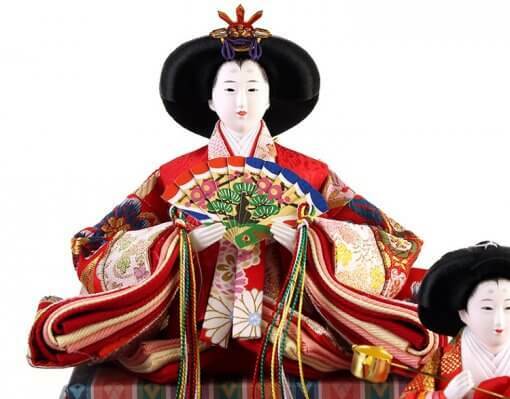 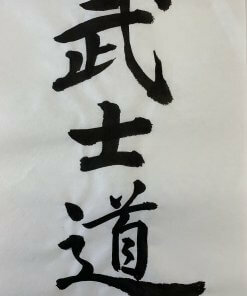 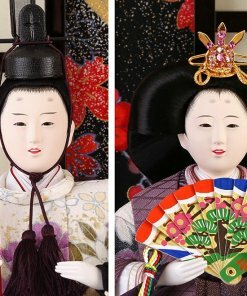 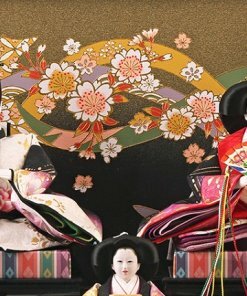 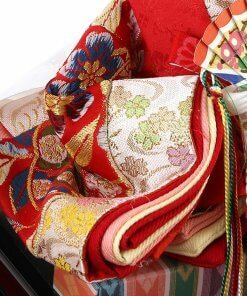 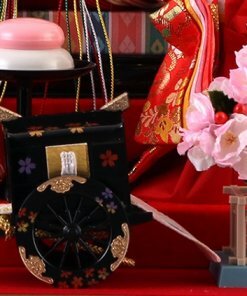 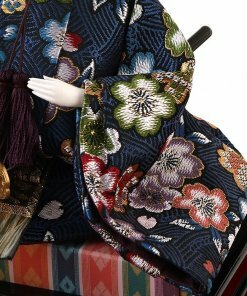 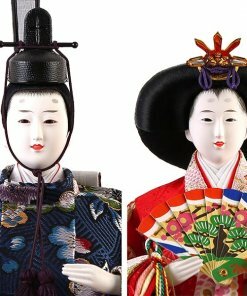 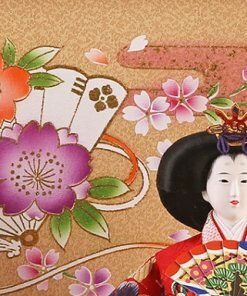 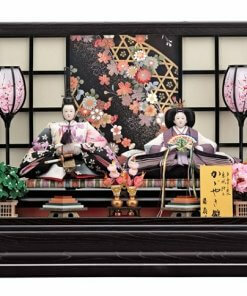 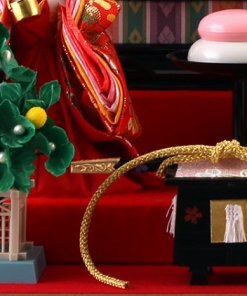 The emperor, empress and three court ladies wear cloths of finest quality Kimono; especially, various colored flowers are drawn by needlework on the Kimono of the emperor and the empress, which gives the impression of Spring. 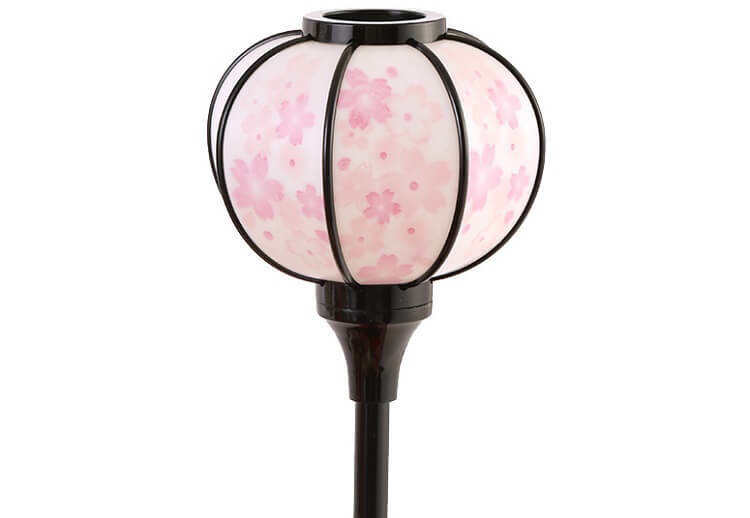 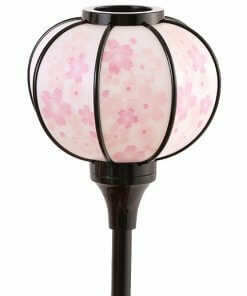 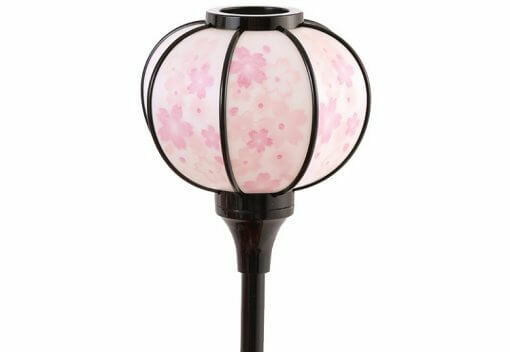 On the backside screen, Japanese fan and vivid color Sakura flowers are designed.